Some commercial real estate agents list a property and then market it without much thought as to how they can attract enquiry from the millions of property investors in their country and globally. Now more than ever before property enquiries are coming from other cities, states, and countries. Today we are blessed with some of the most effective and direct marketing tools available, and most of them are online. 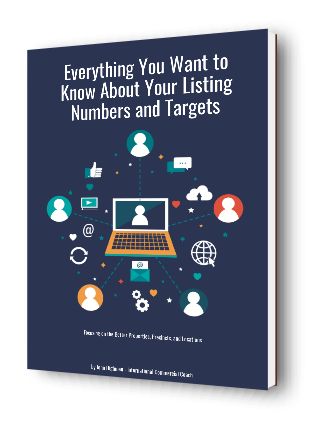 So where is your target market for your exclusive listings? It is a question that should be asked frequently before any marketing campaign is commenced. What are the buyers and tenants looking for when it comes to making a property enquiry? How can you get the facts about the property to the market? Industry Portals – A listing of quality should feature on the industry portals. That being said, an elite or prominent listing on the home page for the suburb or city requires a premium cost commitment. That is a vendor paid marketing process. How are you at converting vendor paid marketing funds from your listing system and presentation? It’s an important question to remember. Brokerage Website – You should have at least one and possibly a few websites within your brokerage structure of franchise group where you can advertise listings. Ensure that you format the property listing differently on each of the websites so you are maximising search engine exposure. Advertising layout and content – With every quality listing over which you have exclusively control, create a number of different advertising layouts and content formats. An exclusive listing should have 3 or 4 advertising formats used online at the same time but in different locations. Social Media – Engage with your clients and prospects using social media tools. Quality listings can also be fed into your social media stream. Article Marketing – There are some good article marketing platforms that are always on the lookout for quality articles about commercial property. 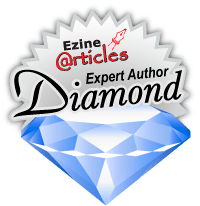 They all have rules as to content and quality, but the article marketing process is also something that you can link back into your social media processes. Blog Initiatives – Every good agent should be running a blog where they can comment about the local property market in a positive and productive way. Those comments can be fed back into the social media platforms being used. Case Studies – When you have completed a sale, lease, or project of any type you will have something positive you can talk about to the local businesses and property investors. Put your case studies onto your blogs and websites as pdf downloads. Market Briefings – As the property market changes throughout the year, information about prices, rents, supply and demand, and upcoming projects will change. Track and measure the changes using graphs and statistics. You can do a lot with relevant local property information. You can use it in your online promotional activities as well as your email database despatches. Auto responders – On your website you can have a portal where you offer some free information about the local area or the recent property changes in your town or city. VIP Portals – Put a VIP portal on your brokerage website that can be accessed by a password or a number of special passwords that you may set for different people. You can issue passwords to special clients so they can get your reports or listing support information. The VIP portal also works very well when it comes to listing and marketing. You can put some special samples of marketing material in the website for your VIP clients and prospects to look at. Keywords – Use a keyword search tool frequently so you can understand what people are typing into the search engines when they are looking for a property in your town or city. Put those keywords into the advertisements that you create. Pay Per Click – The pay per click process is something that can bring you inquiries from the search engines. It stands to reason that you should use the most active search engine and that will usually be Google in your country. If you are going to use the pay per click process then set yourself a budget so that costs cannot exceed your limits and expectations. So all of these things are excellent ways to promote your property online comprehensively and totally. Send your property message to the millions of people online that are looking for property investments.